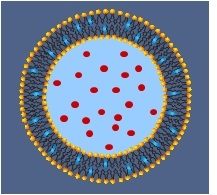 We specialize in a range of formulation and drug delivery technologies from solubility enhancement using liposomes, lipospheres and micellar systems to more sophisticated nano-enabled systems like PEGylated liposomes, PEGylated lipospheres and polymer-based nanoparticles for controlled/sustained delivery of various type of compounds. We have strong expertise and many years of experience in designing and developing parenteral delivery systems with respect to both the drug carrier systems and the drug loading methods for challenging compounds. Our goal is to come up with formulation solutions that are tailored and optimized to fit the compound and the specific needs of our customers. in the bilayer or at the interface depending on the nature of the compounds. 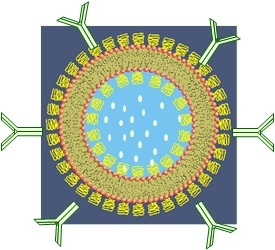 targeted delivery to the disease site through ligand-receptor binding. 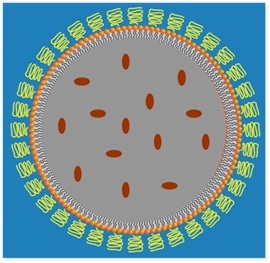 Liposphere is a nano-particle with an lipophilic core (such as triglycerides) coated with a monolayer of lipids. 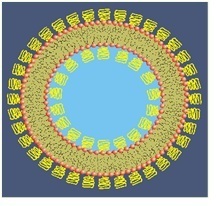 Lipophilic drugs are loaded in the oil core.